1. Delta was founded in 1924. The company was actually started in 1924 as a crop dusting company in Macron, Georgia, around 90 miles away from its current headquarters in Atlanta. It moved to Louisiana in 1925 and changed its name to Delta Air Lines in 1928. Its inaugural flight as an airline was between Dallas, Texas and Jackson, Mississippi, which it doesn’t operate today. The airline left Louisiana in 1941 and moved to its current headquarters in Atlanta. 2. Delta's main hub is Atlanta Hartsfield. The airline’s main hub is at Atlanta’s Hartsfield Jackson International Airport (ATL) where it operates flights to all inhabited continents except Australia. It is also the busiest Airport in the world in terms of traffic. 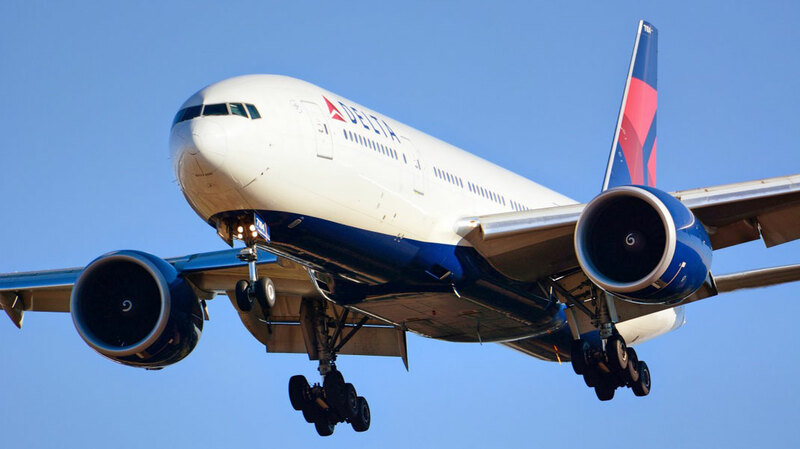 Delta operates its longest flight from Atlanta to Johannesburg, South Africa and is the only American airline to fly non-stop between the two countries. As it has both its headquarters and main hub in Atlanta, Delta is known as Atlanta’s hometown airline. 3. First and Only American Airbus A350 operator. Delta was the first American airline to operate the Airbus A350 and remains the sole operator of the A350 in the United States. As most North American airlines went for the Boeing 787 Dreamliner, Delta chose the A350-900 and was the second North American airline following Air Caraibes to order it. The ultra-modern aircraft now flies routes from Detroit and Los Angeles to cities in Asia including Seoul, South Korea. Delta has 25 orders for the aircraft from now until 2022 and it will replace the Boeing 747-400 and older Boeing 767s. 4. Delta started a Trade dispute. Delta’s order for the Bombardier CSeries aircraft caused a trade dispute between the United States and Canada. Boeing alleged that Bombardier was using illegal subsidies from the Canadian government that allowed it to sell the CSeries at a lower cost, leading the US to put an extra 220% tariff on the aircraft. Although Boeing eventually lost that dispute, it created a rift between Delta and Boeing. 5. The reasons for the Airbus A220. While Bombardier was facing a potential issue with tariffs being placed on its aircraft from the United States, it found an unlikely partner with Airbus. As a result, Airbus purchased 51% of the CSeries program and moved the production of the aircraft to its facility in Mobile, Alabama, where the company produces A321s. 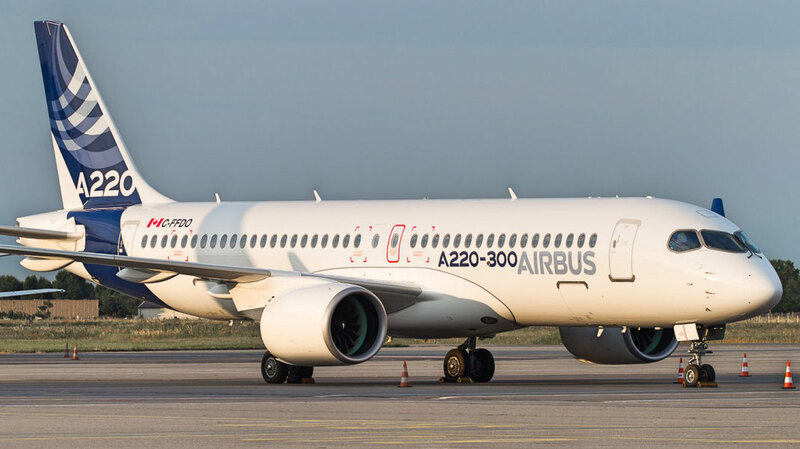 With Airbus now involved, it rebranded the aircraft as one of its own, calling it the Airbus A220. Without Delta purchasing the aircraft and sparking the trade dispute, we might never have had the A220. 6. One of the few Boeing 717 operators. Delta is one of two American operators of the Boeing 717-200, a shorter version of the iconic MD-80 aircraft produced by McDonnell Douglas. The airline purchased these unique aircraft from Southwest Airlines following its merger with AirTran Airline, which operated the Boeing 717s on short-haul routes throughout the eastern United States. The only other American carrier to operate the 717 is Hawaiian Airlines on its intra-island routes. The 717 is known for its 2-3 configuration and t-tail similar to the MD-80 but with a modernised cockpit. 7. Delta introduced a Premium Economy Class in 2017. 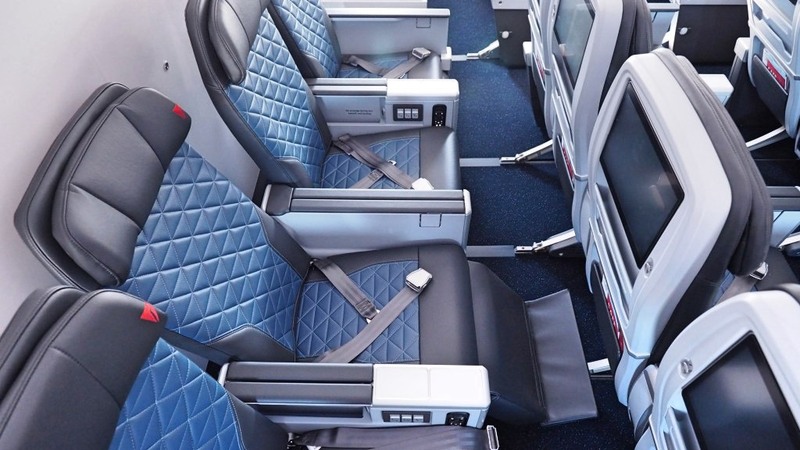 Delta recently introduced a new premium economy class called premium select in 2017. The airline was the second to do so in the United States behind American Airlines and ahead of United Airlines. 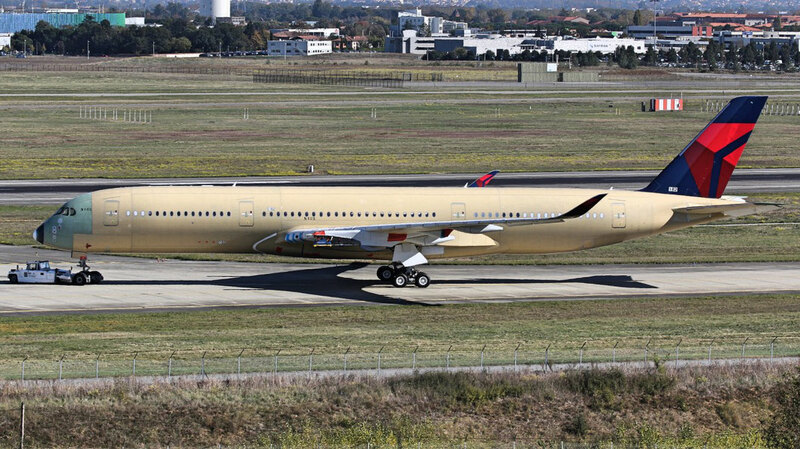 The product is currently found on the airline’s new A350 aircraft with plans to incorporate it on the rest of its long haul fleet over the next 4 years. The seats will feature a leg rest, 13.3 inch screens, dedicated flight attendants, amenity kits and better food and drink options. 8. Delta introduced new Uniforms in 2018. Although the airline’s planes are painted in red, white and blue, Delta recently changed the uniform colors for its employees to a shade of purple called “Passport Plum”. Zac Posen designed the new uniforms in the new color with around 64,000 employees receiving new uniforms in May. It was the first uniform update for the airline since 2006 following the merger with Northwest Airlines and just before the airline introduced its new livery. 9. Delta has 2 Terminals at JFK and LGA. The airline has a large presence in New York City. Delta has 2 terminals each at JFK Airport and LaGuardia Airport. The JFK terminals, Terminals 2 and 4, cater mainly to international and select domestic and regional flights while its LaGuardia terminals, Terminals C and D, cater solely to domestic and regional flights. Delta replaced American as LaGuardia top airline a few years ago and took over American’s Terminal C. Now, Delta operates the most flights from LaGuardia to the most destinations. 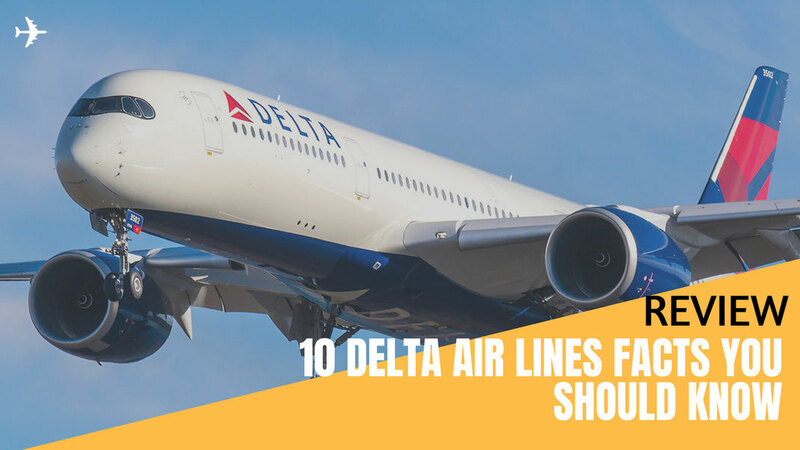 In addition, the airline serves Newark and Westchester County airports, giving New Yorkers 4 airports to choose from when flying Delta. 10. Delta had it's own Low-Cost Carrier. During the mid-2000s, Delta created a low-cost spinoff called Song Airlines. The airline was catered towards families and flew mainly between New York and Florida on Boeing 757-200s transferred from the airline. Onboard the aircraft were seatback televisions featuring movies, music and games, the first of its kind in the United States, and the airline offered snacks such as Lunchables to kids. The airline’s 757s were painted green and white to differentiate themselves from Delta’s red, white and blue aircraft. Unfortunately, the airline ceased operations in 2006 after 3 years of flying.